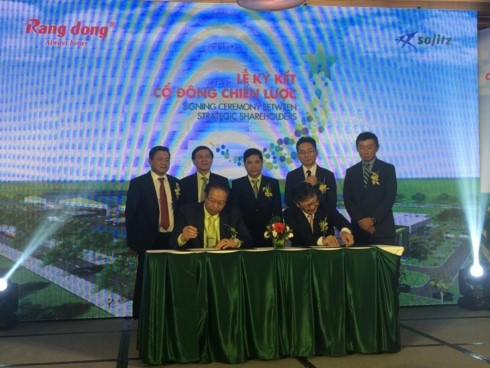 Japan’s Sojitz Planet Corporation formed a strategic partnership with Rang Dong Plastics JSC on December 5 to set up a new venture called Rang Dong Long An. With a total investment capital of $32 million, Rang Dong Long An is a 80:20 venture between Rang Dong Plastics and Sojitz Planet. The project will house three factories on an 8.7-hectare area in the southern province of Long An. The factories will apply the latest technology from Germany, Italy, Japan, Taiwan, and Korea. Ho Duc Lam, chairman of Rang Dong Plastics JSC, said that Rang Dong Long An is slated to put into operation in March 2018. With new investment and co-operation, Rang Dong Plastics aims to become a leading plastic supplier in Vietnam and one of the top 10 manufacturers in the Asia-Pacific by 2020. Meanwhile, Sojitz will contribute to the business development of Rang Dong Group’s high functional materials. Sojitz has the distribution right of plant-delivered poly ethylene called Green PE in the Asia and Oceania region. Green PE is produced from sugarcane by Braskem in Brazil. 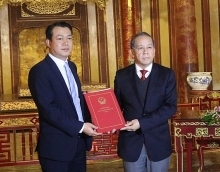 The firm will supply Green PE to Rang Dong to produce environmental-friendly products for customers. In the domestic market, Sojitz Planet has been collaborating with over 20 Sojitz Group companies. Taking advantage of this network, the firm will supply Rang Dong products to Ministop Vietnam operated by Sojitz Retail Sections. In its overseas markets, Sojitz Planet has already started supplying Rang Dong products in Cambodia, Myanmar, and the Philippines. In addition, Sojitz Planet will support research and development, factory environment improvement, as well as human resources training by the professional supervisors from Sojitz and Japanese partners. Sojitz Planet Corporation is the plastic division of Sojitz Corporation—a Japanese general trading company. With 27 branches all over the world, Sojitz Planet has a turnover of US$1.8 billion and is currently trading over one million tonnes of plastic resins annually. 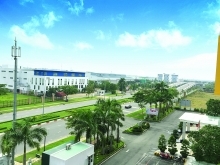 Rang Dong manufactures and trades in industrial, household, and engineering plastic products in Vietnam. Besides domestic channels, Rang Dong constantly increases exports to major markets, such as the US, Japan, Korea, Holland, Taiwan, the Middle East, Nigeria, Thailand, Myanmar, and the EU.